Our 50-day countdown series moves quickly on to its third instalment and this time it's the Ladbrokes Trophy that comes under scrutiny. Known as the Hennessy Gold Cup for decades, this Newbury showpiece may be run under a new guise on December 2, but one thing is for sure it will not diminish in stature, and we are set for a crackerjack renewal in just over seven weeks. Harry Fry has already stated that the obvious target for his exciting chaser, American, is the Ladbrokes Trophy, and having racked up three novice chase wins on the bounce last season, then he could be one that launches into the limelight here, and it's no surprise to see him installed as the 12/1 ante-post favourite with bet365 for this race. Fry was quick to point out that he is still unsure what heights American could reach over fences, but if he was to impress at Newbury in one of the most competitive races of the season, then he could well be seen in a host of Graded races, and possibly become a Cheltenham Gold Cup contender at the end of the season. Native River was a fine winner of this race 12 months ago, and the Colin Tizzard-trained raider could return to Newbury to try and retain his crown, but not since the mighty Arkle in 1964 and 1965 has a horse successfully won this race two years in a row, and having excelled over fences last season, the Welsh National winner will run off a much higher mark this year. On assumption of running off current OR's at Newbury; Native River - 11st 12lb, Coneygree - 11st 11lb, antepost fav American - 11st 3lb. Former Cheltenham Gold Cup hero Coneygree didn't take his chance in the Kerry National at Listowel, and with Mark Bradstock wanting to get a run into his stable star before the Ladbrokes Trophy, he could be seen using the JNWine.com Champion Chase as a sharpener for this race, and he is hovering around the 14/1 mark with Betfred for this Newbury contest. Un Temps Pour Tout (28/1) just touched off Singlefarmpayment (20/1) in a memorable finish of the Ultima Handicap Chase at last season's Cheltenham Festival, and that pair could well lock horns once again at Newbury, but it's the latter that could be open to more improvement this season, and arguably makes more appeal at this early stage. Nicky Henderson has trained Bobs Worth (2012) and Triolo D'alene (2013) to victory in this race in recent years, and the Seven Barrows handler could send RSA Chase runner-up Whisper to the Berkshire venue for this assignment, and the 20/1 chance with Paddy Power is certainly worth a mention, as is Label Des Obeaux, who at 40/1 with bet365 is one that could be a lively outsider for Alan King, who won this race two years ago with Smad Place, who is a 33/1 chance for this race in the latest betting. 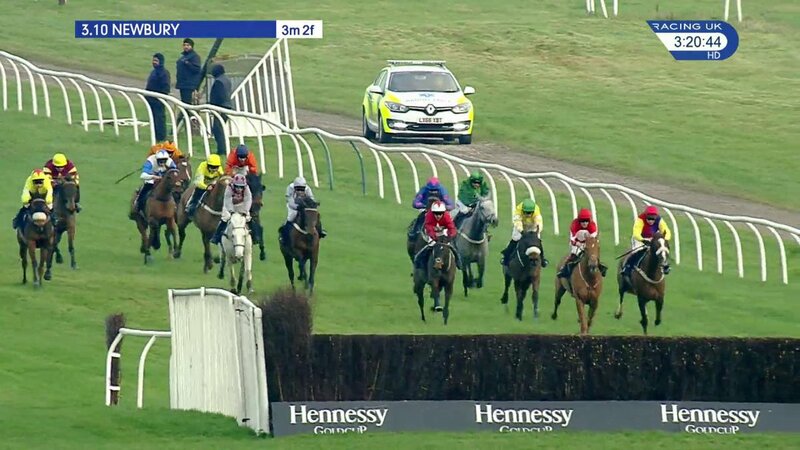 Our new Jumps Racing Podcast, which aired for the first time earlier this week, is sure to delve deeper into the Ladbrokes Trophy as the race approaches, but National Hunt form gurus will be eagerly-awaiting the entries for one of the most competitive staying handicap chases of the seasons, which is sure to be a thriller like last year's renewal. The inaugural running of this race in 1957 was actually run at Cheltenham, and was won by subsequent Cheltenham Gold Cup winner Mandarin, who won the blue riband event at Prestbury Park in 1962. Mandarin was trained by seven-times winner of this race Fulke Walwyn, and it was incidentally owned by Peggy Hennessy, who was a member of the family which founded Hennessy, the race's sponsor sixty years ago. Having spent a couple of years at Cheltenham, the Hennessy Gold Cup was then moved to its current home at Newbury in 1960, and Mandarin was to taste victory in the 1961 renewal, regaining the coveted prize, and is alongside the mighty Arkle and Denman to be a horse that has won this race on two occasions.